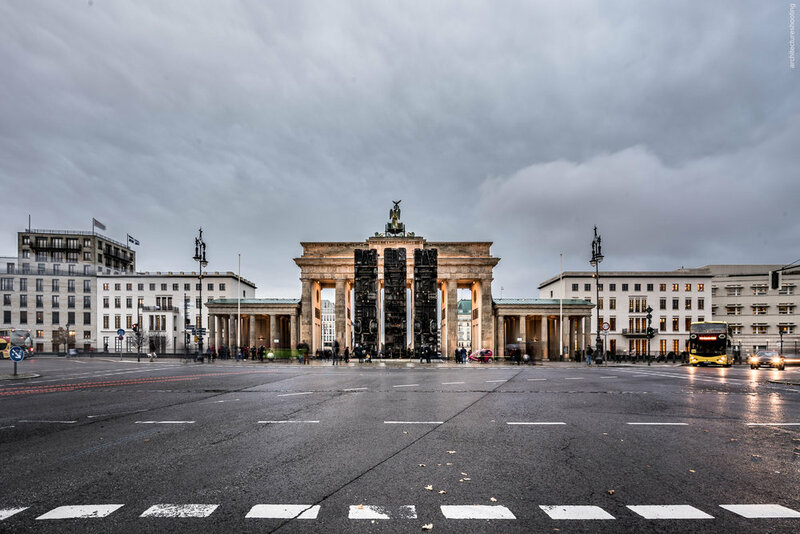 "The 12-meter-high (over 39-foot-high) artwork "Monument," by German-Syrian artist Manaf Halbouni will be standing right by the Brandenburg Gate as of Friday until November 26, said Wednesday initiators of the project, Berlin's Maxim Gorki Theater. The installation, made up three buses propped up vertically, represents the buses used as barricades that civilians in Aleppo, Syria, had erected in 2015 during combat operations in the city to protect themselves from snipers. The artist said he intentionally used buses that had not been wrecked as a symbol of the peace that is present in Germany – unlike in Syria."